MOSCOW, July 13. /TASS/. Russia’s Zenit St. Petersburg football club will throw a farewell party for the club’s best ever striker, Alexander Kerzhakov, who announced his retirement on Wednesday, Sergei Fursenko, the club’s president told TASS. 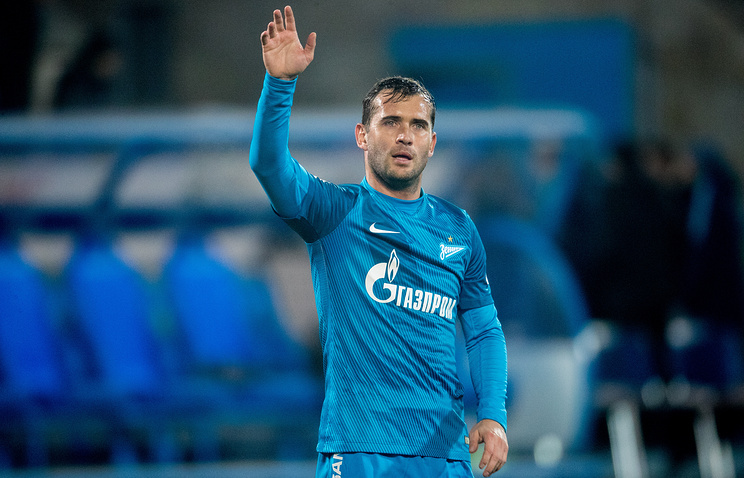 Following his retirement, Kerzhakov, 34, took the seat of a coordinating executive of all teams in Zenit club’s academy. "Alexander contributed greatly to our club and our fans," Fursenko said in an interview with TASS. "He is a true professional and we are very glad that he agreed to keep on working with the club." "His desire to wrap up with the career did not mean that we wanted to let him go," he said. "We will certainly organize an official farewell ceremony because Alexander is the best striker in Russia." Asked what sort of a farewell ceremony would be organized for Kerzhakov, Fursenko said: "We have not talked to him about it yet and keep working on this idea." According to Fursenko, Zenit FC mulls an idea of organizing a farewell match not for Kerzhakov only but for other veteran players of the club as well. "We had an idea to organize a farewell match for all of our club’s former stars, but this issue is still under debates," he said. "We have a very busy schedule and we need to understand how we can squeeze in this event." In the 2016/2017 season of the Russian Football Premier League (RFPL), Kerzhakov played 18 matches scoring two goals. However, he initially played for Zenit FC between 2001 and 2006 and later on between 2010 and 2015. On the whole, Kerzhakov scored a total of 233 goals playing for various teams and in different tournaments, including 30 goals scored playing for the Russian national football team. This is currently the record number of scored goals for the Russian national squad.